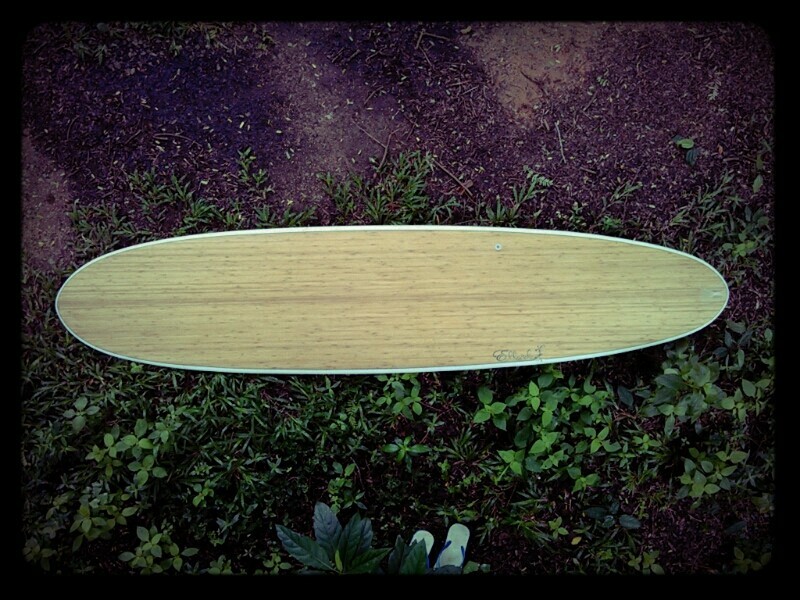 Troy came with a rental board that worked really good for him and ask me to copy it as close as I could. 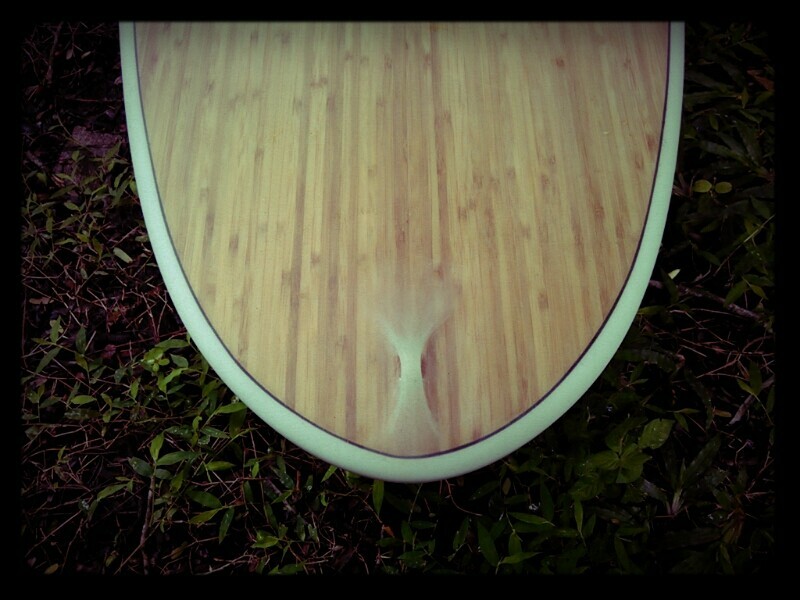 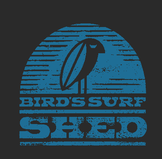 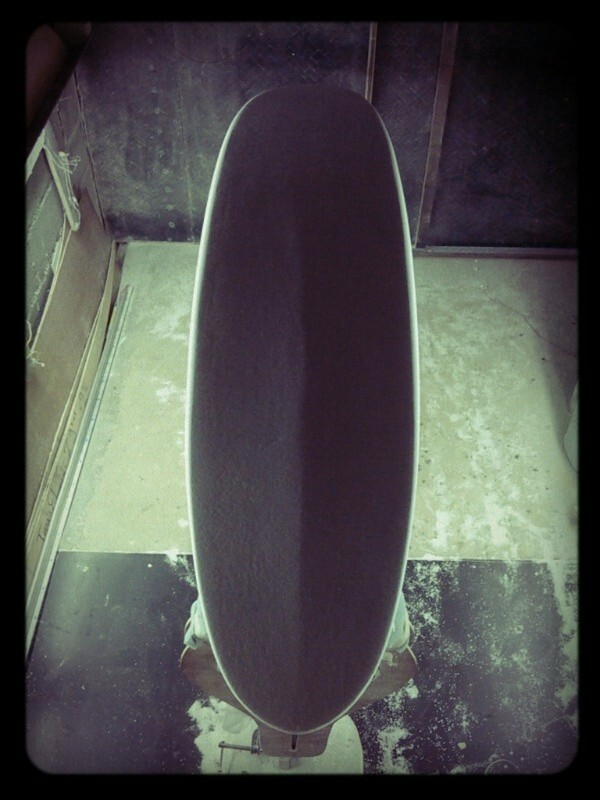 Bottom is flat to V with a thruster fin setup. 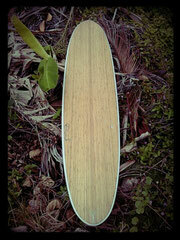 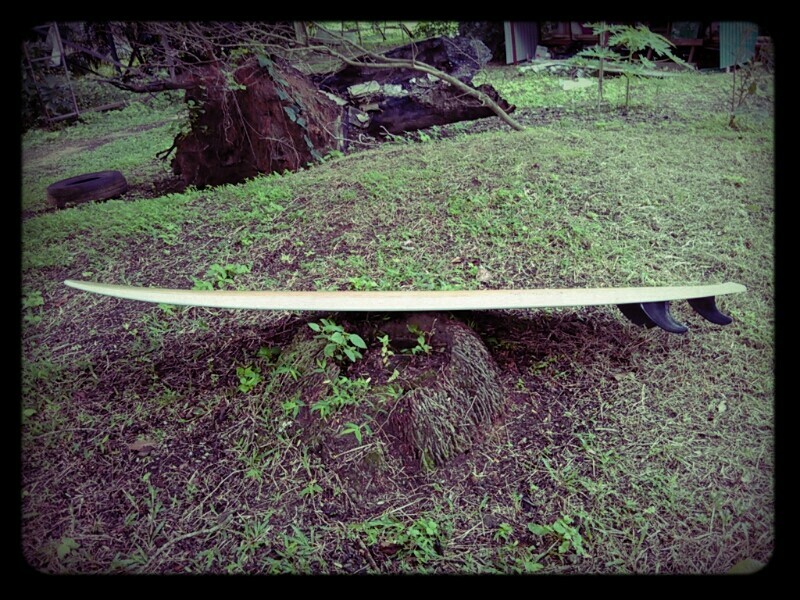 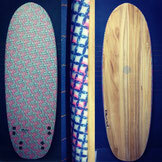 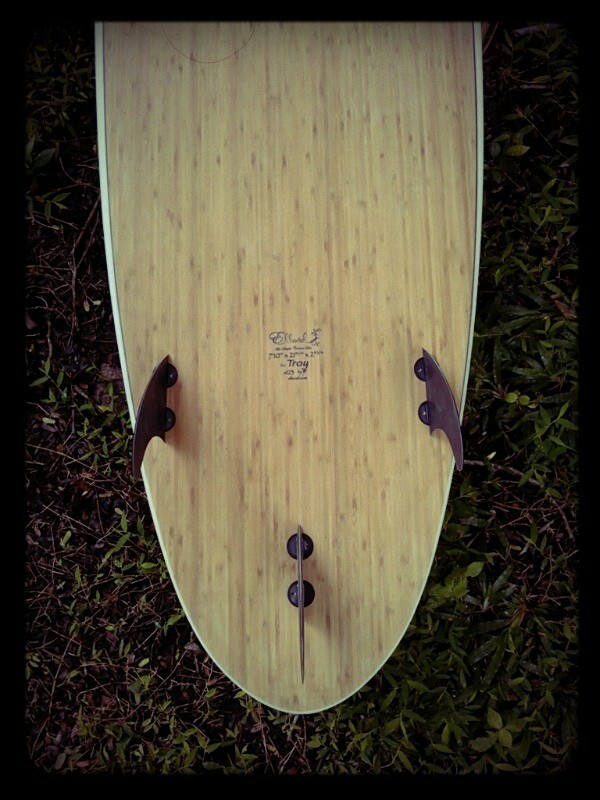 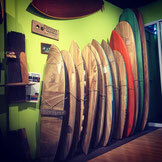 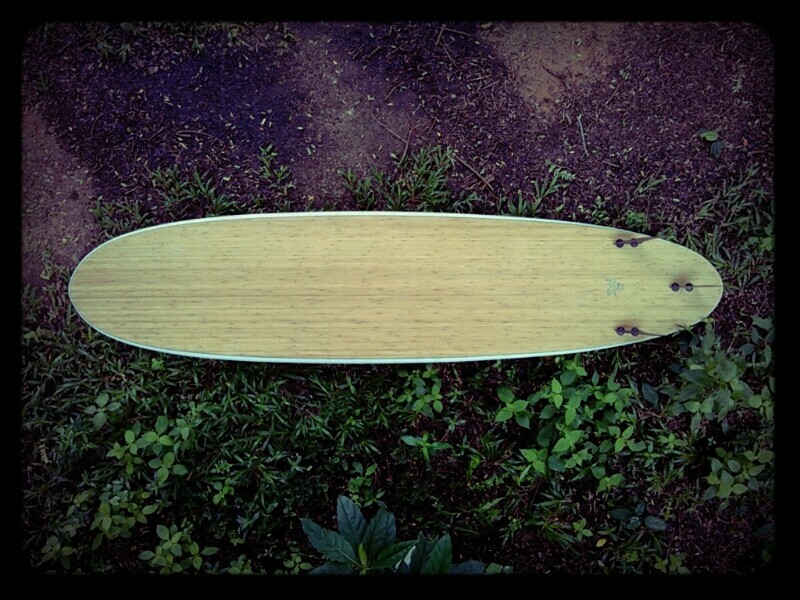 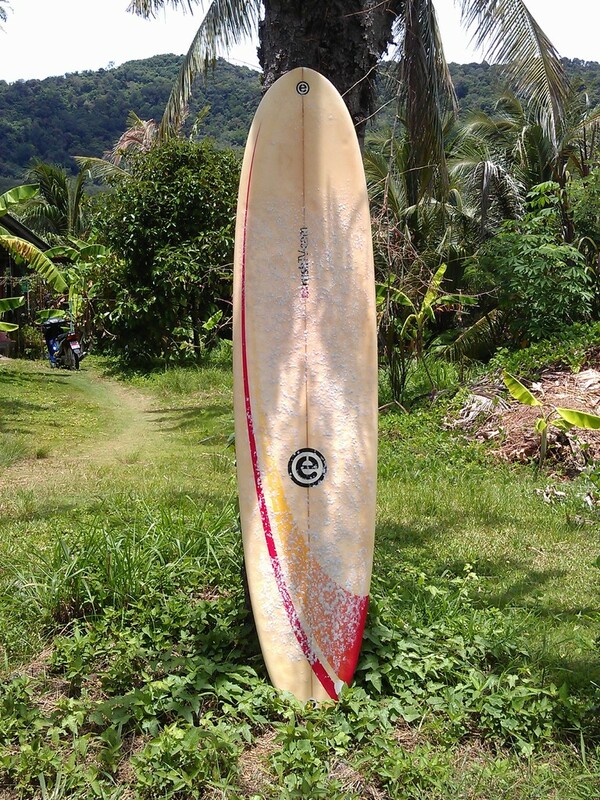 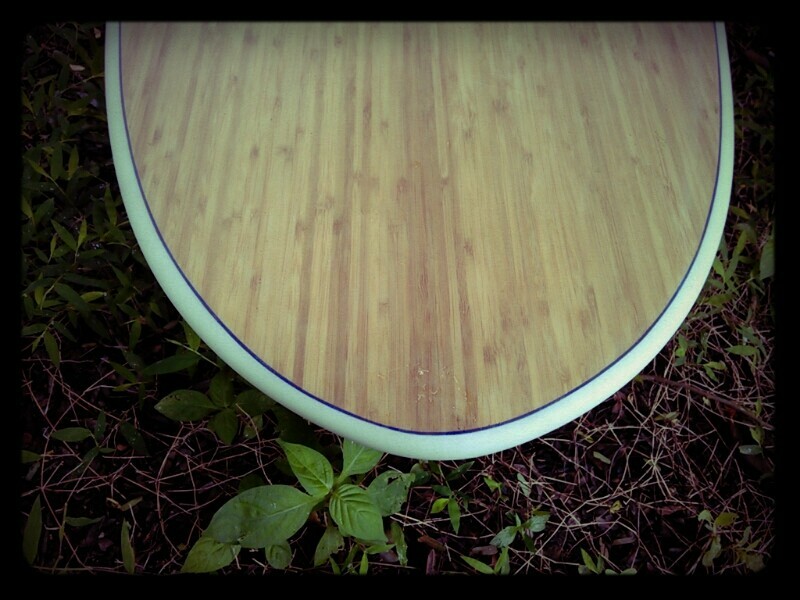 Both sides of the board get bamboo veneer and pinlines start blue at the nose to end up black on tail. 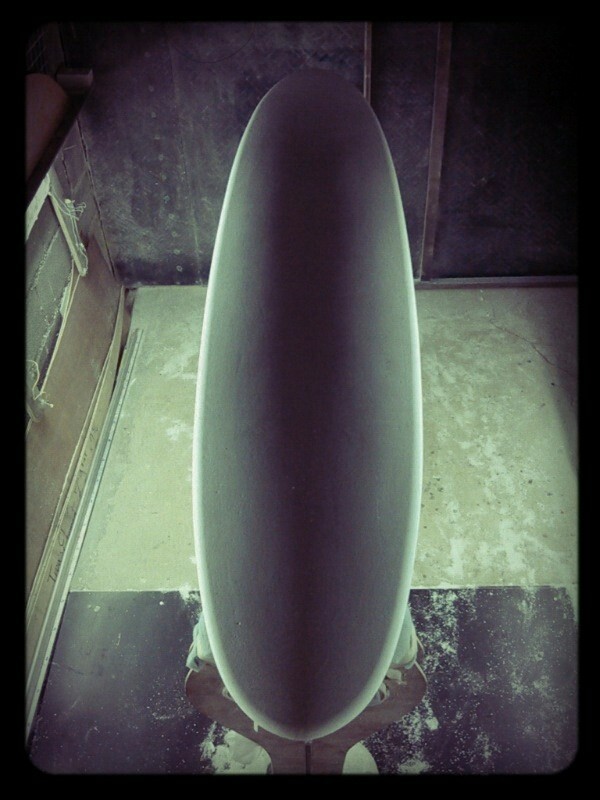 The result is 400g lighter than the original, hopefully it will work as good for Troy.